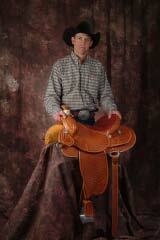 I have been building saddles for more than 30 years. I knew as a young boy of about 10 that saddlemaking was my calling. I got to watch one of my dads' custom saddles being built in the saddle shop of Jess C. Bleeker in Choteau, Montana, not far from my home town. Growing up working cattle, teamroping and training horses helped fuel my desire to build quality saddles and help people fit saddles properly. Upon graduation I enrolled in the saddlemaking course at Spokane Falls Community College training under accomplished saddlemaker and artist Jesse Smith. 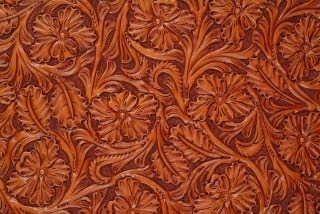 After college I returned home and worked for the man responsible for my interest in the business J.C. Bleeker Saddlery. He was a sign painter, artist and brick layer besides his passion for saddlemaking. One year later I started my career at Grizzly Saddlery. 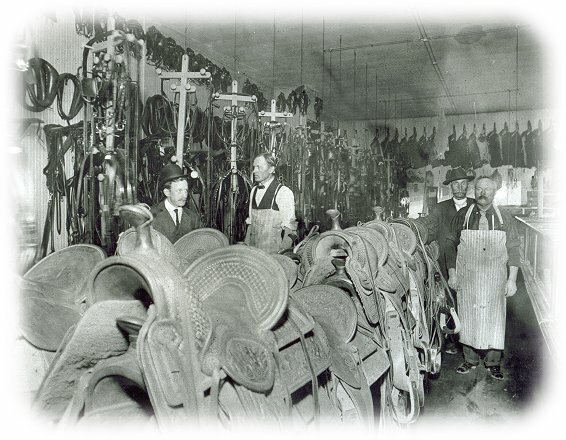 Victor Ario Saddlery was established in Great Falls, Montana in 1897. It was in business custom-building up to 500 saddles a year until 1957. It's saddlemakers then purchased the saddlery and formed H bar 0 Saddlery which continued until 1978. Upon retiring, the saddlemakers sold out and Grizzly Saddlery was born. We are proud to carry on a saddle-making tradition in our city for over 100 years. We strive for excellence in workmanship and materials, we try to make each saddle as individual as the person who orders it. We hope to be talking to you soon!